Seasons Greetings from Down Under! First all Merry Christmas and Happy New Year to you all! I was asked to create an image to go on our work Christmas Cards, and here it is – Roodolf!! 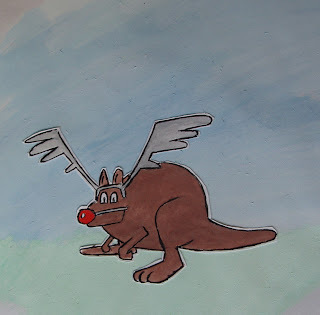 I couldn’t resist dressing a Roo up with antlers and a red nose to mimic Rudolf!